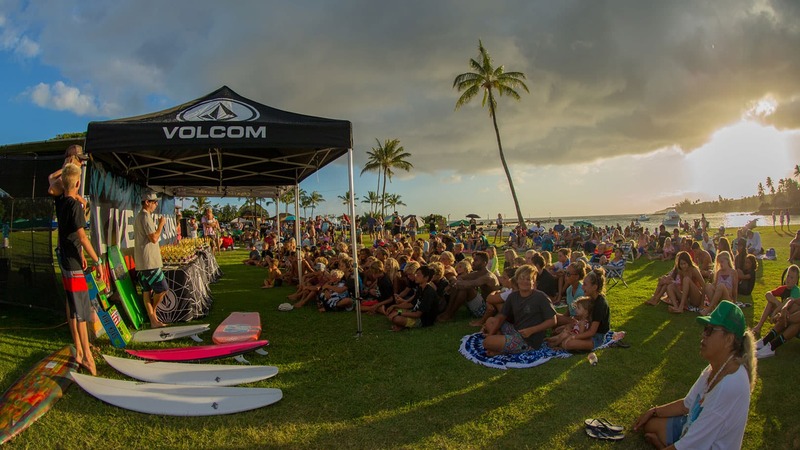 The 6th annual Live Like Sion Gromfest went down this year at PKs in Poipu Beach on the south side of Kauai to celebrate the life of big wave surfer and Pipeline specialist Sion Milosky. PKs is a special place for Sion as he grew up surfing here with his family, spending countless hours on the beach and in the water. To hold the event at this stop strengthens his legacy and continues to keep his spirit thriving. 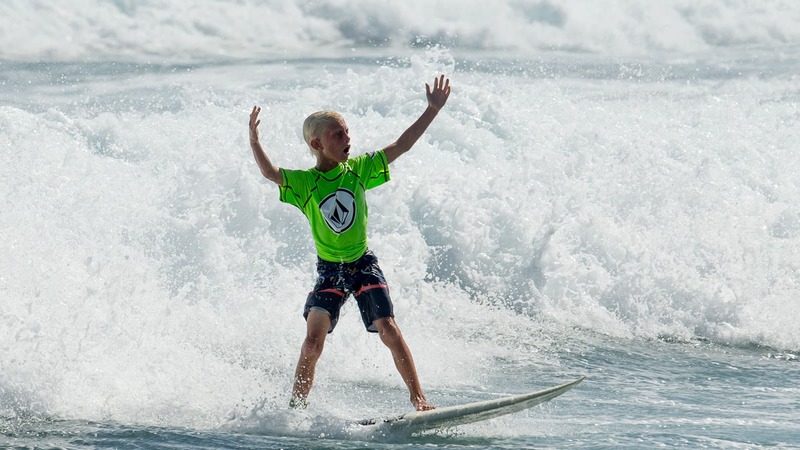 The Live Like Sion Gromfest is a grassroots event which brings together countless friends and families to help preserve his memory and his love for the ocean while giving back to the future generations of surfers on Kauai. 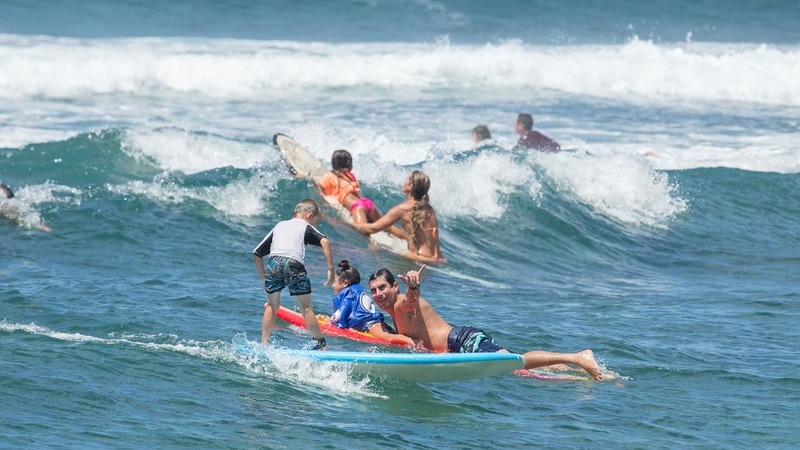 Spear-headed by Milo Mirguia, Sion’s best friend and pillar of the Kauai surf community, the event garners hundreds of entries each year with handfuls of volunteers, friends and family, contest surfers, and donations to the Live Like Sion Foundation. The morning of this year’s Live Like Sion Gromfest kicked off to herds of excited groms from all over the island. First heat of the day paddled out at 7am to perfect head-high swell, trading off waves one after another, which continued throughout the day. 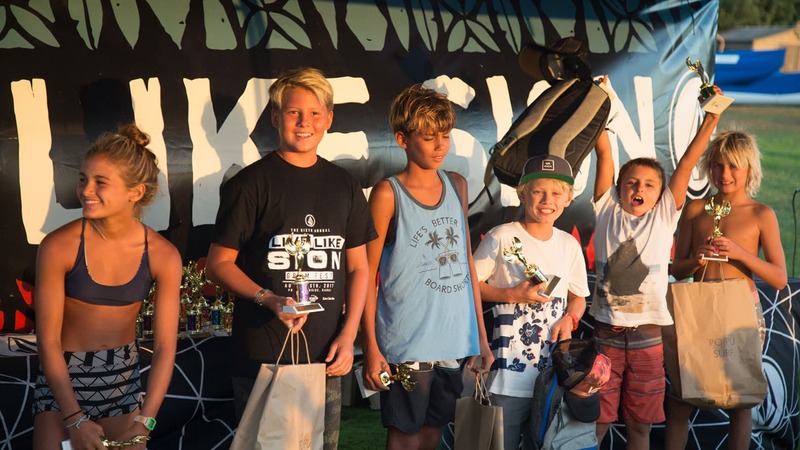 One of our Volcom Little Buddies, 10-year-old Tiger Abubo, won the boys 14 and Under Groms division while taking out the national champion in the process. After tons of heats, great waves, and sunburnt-and-tired surfers, we relocated to Poipu Beach Park and gathered in a huge circle to say a prayer for Sion. We were blessed with a huge spread of delicious food and beautiful surroundings, while fond memories of Sion were being shared amongst the crowds. It was an epic day full of surfing and smiles, but in the end, it was all about celebrating the life of a beloved waterman, husband, and father. LIVE LIKE SION. Sion Milosky was a big wave surfer from Hawaii, and a premiere pipeline specialist, who tragically lost his life in a surfing accident at mavericks in half moon, bay, ca in 2011. he was survived by Suzi and his two young daughters, Awakea and Saraiah, as well as countless friends and family. visit livelikesion.com for more information and how to donate.